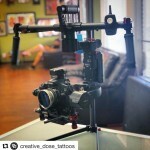 INSTAGRAM: @mrcheesycam getting ready to try out the ‪#‎cametv‬ ‪#‎argo‬ ‪#‎gimbal‬ with our new ‪#‎Elastix‬ gimbal support! 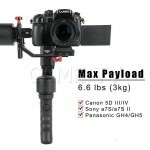 Posted in CAME-ARGO, CAME-Elastix Gimbal Support, Instagram. Tags: 3-axis, 3axis, argo, came-tv, came-tv argo, cametv, elastix, elastix gimbal support, gimbal, Instagram on March 17, 2016 by CameAdmin.